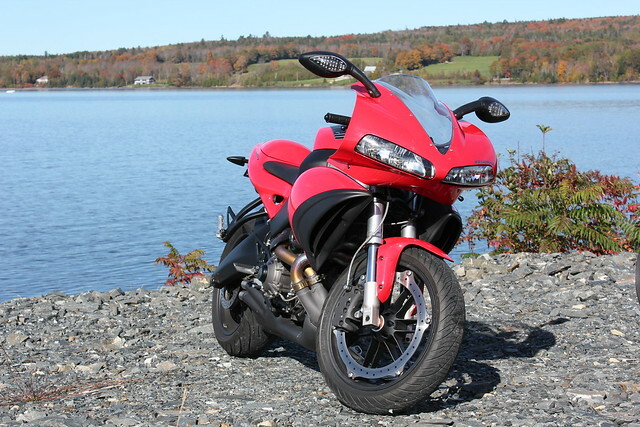 Spring is finally here...which means the start of our motorcycle season! I have been out several times...I love the fresh air, the wind hitting my body and just the excitement of being back on two wheels. For those just getting their bikes out, remember to complete your spring maintenance and do safety checks of the systems on your motorcycle. Your owner's manual is always a good place to start and it's worth a few extra dollars to purchase the service manuals for your bike. Make sure you check tires & wheels, fluids, electrical (lights, switches, etc), controls (brakes, throttle, clutch, cables, etc. ), chassis (frame, suspension, belt or chain, kickstand, etc.) and an overall inspection of fasteners on your bike. Once your check is complete, take you bike for a short ride around the block, just to make sure everything is good. If you are uncomfortable or don't have the confidence/experience to do your own safety check, it is worth it to consult your mechanic/motorcycle dealer. The Motorcycle Safety Foundation (MSF), offers a check off list that you can consult for your spring safety check. The T-CLOCS Inspection Checklist from the MSF is also a good starting point for your inspection. It is very important to check your riding gear; conduct a physical examination of your gloves, boots, pants and jacket...make sure there are no rips, tears or excessive wear. If there are, have the items repaired accordingly or replaced. Also, and most important, check your motorcycle helmet...check the face shield, examine the shell for physical chips or cracks and examine the interior padding to make sure that everything is good. Just as a side note, I always recommend that you spend the extra dollars and purchase a good helmet, not a cheap one; both of my helmets are DOT/Snell approved. Finally, for the cagers out there...please watch for us. Focus on your driving, take the extra second to look around and put away the cell phones. FHS - "Cruise into Spring" Car Show!